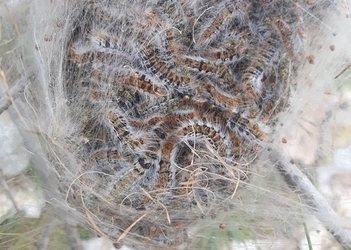 The Formentera Council's environment department reports plans are under way this week to start the second part of an aerial dusting strategy designed to stem spread of the pine processionary caterpillar on Formentera. The second application will be identical to the first; same helicopter, same crew, same target area. The team charged with conducting the operation is already on the island. They will spend the day Monday preparing signage and checking and calibrating equipment. The start of operations is dependent on fair weather, which weather forecasters predict will come Thursday, though additional methods of application are available if winds die down before then, such as with isolated aerial spraying.